The fashion industry is one of the most dynamic and thriving industries in the world. It combines a vast variety of activities, from the proper production of products, the transformation of prime materials, and the creation of articles of clothing, shoes, and accessories, among others. One of the skeletal supports of this sector is the point of sale. The retail market accounts for 1.1 billion dollars a year. 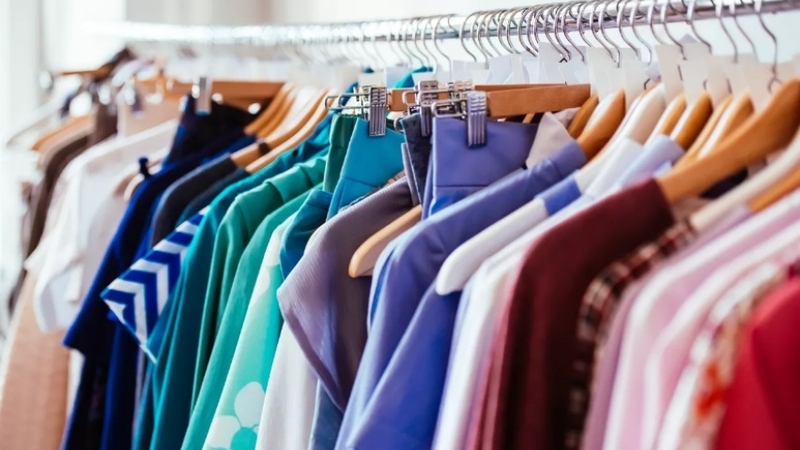 Together with the massive production of food and beverages, the smaller clothing markets and complementary productions are in an ideal position to become one of the foremost profit generators within this business, and Marketing for clothing store is key. The market is characterized by various large textile groups, with Inditex (Spain) at its helm. Following it are H&M (Sweden), Gap (USA), Fast Retailing (Japan), and VF (USA). These and other large multinational corporations —L Brands, C&A, Primark— enjoy the majority of the profits of this industry, with hundreds of thousand of establishments, leaving smaller, independent clothing stores on the sidelines. These businesses have been left to use their creativity to put plans into action in order to draw clients into their locales. Currently, there are numerous examples that can allow you to increase sales and to face the competition. We gathered 5 marketing strategies for this post that you can apply to your clothing store, a “fashionista” version of how David can face Goliath and be victorious in a direct confrontation. Offline, at the very point of sale. Create signs to ensure that offers reach customers. This advertises promotions and adds value to your products in your own establishments. It’s normal for some of these to get passed over but they shouldn’t be omitted for that reason since the investment is minimal and the results are more than sufficient. Here, we will look at an example of a British chain, TopShop, that always uses a thousand and one ways and methods to say that it is having a sale or that one of its cousins is in order to attract its clientele. They use a simple technique with large lettering, simple typography, and a clear message like, “Mid-Season Sale. Up to 50% off on selected lines.” Those who put themselves on display will end up bringing in more customers. Online. Having an online presence is essential in such a competitive sector as the textile industry. It’s true that not all businesses can or should be online, but if it’s within the abilities of the business to open themselves up to the internet, they shouldn’t pass up the opportunity to explore this outlet. Currently, within countries such as the United Kingdom and the United States, between 14 and 19% of total profits for national clothing businesses comes from online channels, much more outstanding than other countries, such as Spain, where it just reaches 10%. A New York eCommerce that has known how to make itself known among the great companies of the world is the intimate line Adore Me, which started with its own resources and, thanks to a capital fund risk, has been able to give its brand a push. This is one example of a small retail business that has grown rapidly through the use of the virtual world, where it is essential to thoroughly know the public and to be knowledgeable on how to reach it. Upon visiting their website, it is possible to quickly verify their marketing techniques that they use in order to impact the user. Kick off of a new season (spring, summer, autumn, winter) with a showroom and a fashion show where some of the star pieces from the company are shown to the public. When sales start and during tax season, reach consumers with an invitation to a special celebration where you can offer added value, not just a promotion or sale price. Celebrate anniversaries or special dates in the life of the business, such as when the business turns another year older or if there is a desire to commemorate a concrete moment that is important to the business. Take advantage of these occasions to invite those that follow you and cast a spotlight on your brand. Create special sales to liquidate clothing that is leftover from a season that is almost over or create events surrounding specific pieces. One day could be declared “blazer day” with discounts for those that want this indispensable wardrobe piece or you can make “purse weekend” with promos for these accessories. 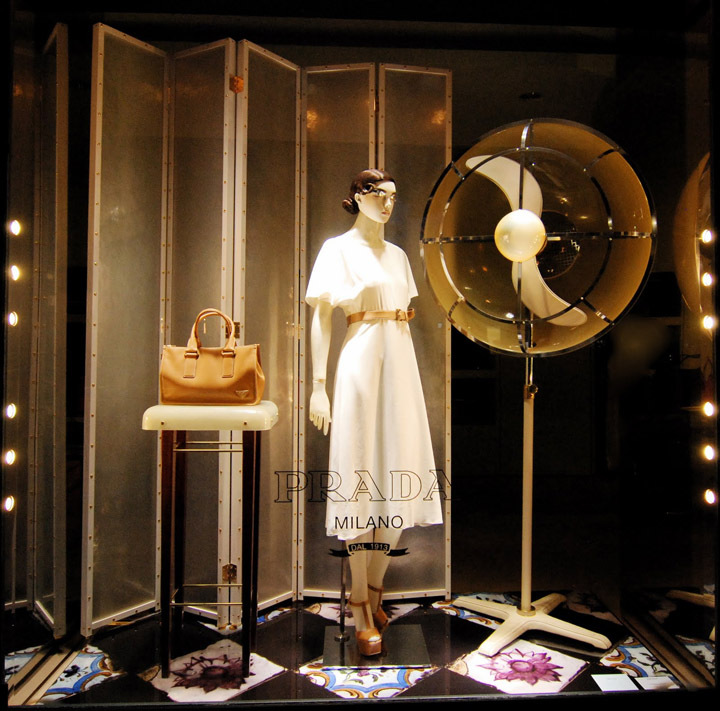 Window displays can be defined as the art that adequately presents the articles that an establishment has for sale through a combination of objects and materials. 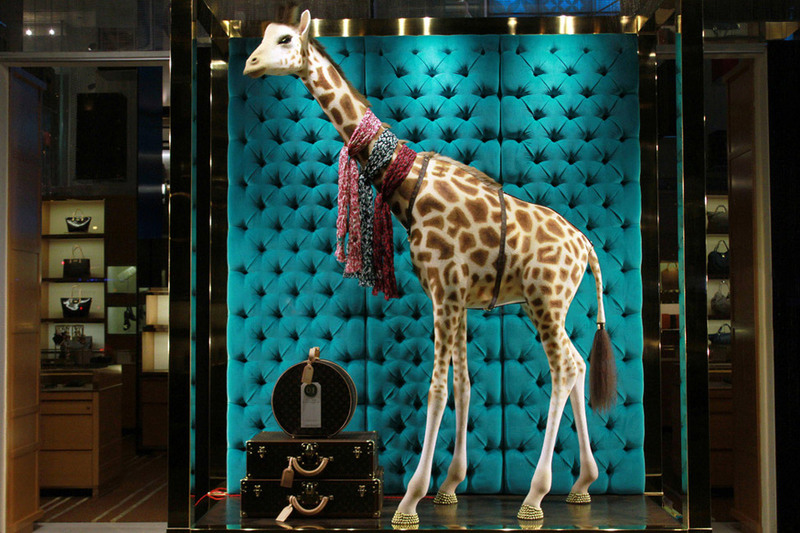 The power of how window displays are done should never be underestimated and solid proof of this exists in the fact that, when one travels, a favorite pastime is to walk by the “golden walkways” or the main urban roads where one can view the display windows of the great firms. 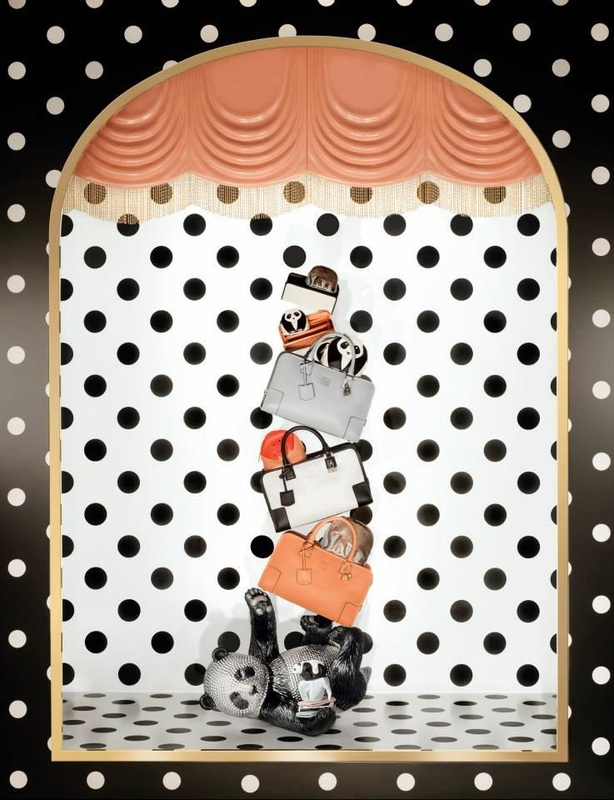 What we can see today in the windows of Loewe, Prada, Louis Vuitton or Hermes are authentic works of gold, art in a pure form, which can be verified with the following images. Change it with a certain frequency. The speed with which fashion trends and the clients taste changes demands that brands react with a certain degree of agility. Before, modifications were made by season, redecorating to display when a new season was coming. Today, it’s recommended to offer novelties to clients every two weeks or, at a bare minimum, once a month. What’s important is to be up-to-date, to be aware of the street styles, and to know what’s selling so as to incorporate these factors into the window display designs. Lighting. It’s a basic point, but an essential one. People that are walking by will be looking at your items because you draw their attention to them. Firstly, it’s crucial that you provide appropriate lighting within your store, and then hook them with the items on display. Deciding what should stand out and placing it in a privileged spot is key. If your strength is the high-heeled shoe, it’s important to showcase them. If, on the contrary, you have a sunglasses collection that has arrived that is all over bloggers’ pages, make sure that you use this to appeal to your audience. It’s important to thoroughly study what is available within an establishment to determine which items are the strongest for the business. Thematic window displays work. When a special occasion is approaching, such as Valentine’s Day or Christmas, take advantage of this and decorate your store with pieces that can be connected to the festivity. Set up a window display calendar. Planning is essential for any business. Be sure to plan with important dates in mind and don’t use the same display for a long period of time. Just as important as the last point, you want to offer a global shopping experience to the user that is fully satisfactory. 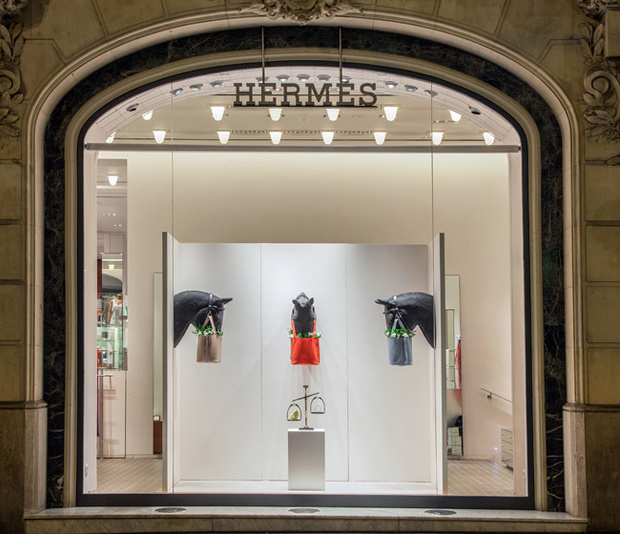 You hook our clients with a bold window display, they come inside and find that the inside of the business invites the consumer to lose themselves amongst the clothes and accessories on the racks, they decide to take something home and then the packaging enamors them more! There are very interesting tendencies that exist that push for the use of cardboard and recycled paper to wrap up the products. Another idea is to include a few sweets to the bag and a business card. Of course, a coupon that can be used for a discount on future sales or offering them a fashion magazine can help, too. If special dates such as Valentine’s Day and Christmas—which we already reviewed a similar example in point 2#—be sure to include festive packaging elements related to the holiday. This is something that customers will appreciate. 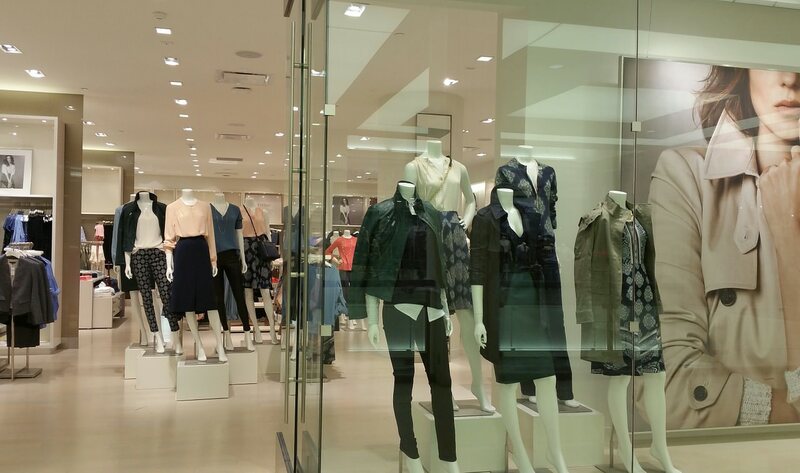 These are some simple ideas for clothing stores that can be used to improve your point of sale marketing strategies. They are details that will cause the consumer to remember you, speak well of you, and likely return for a repeat experience. It is within these small things that the charm of a business resides. 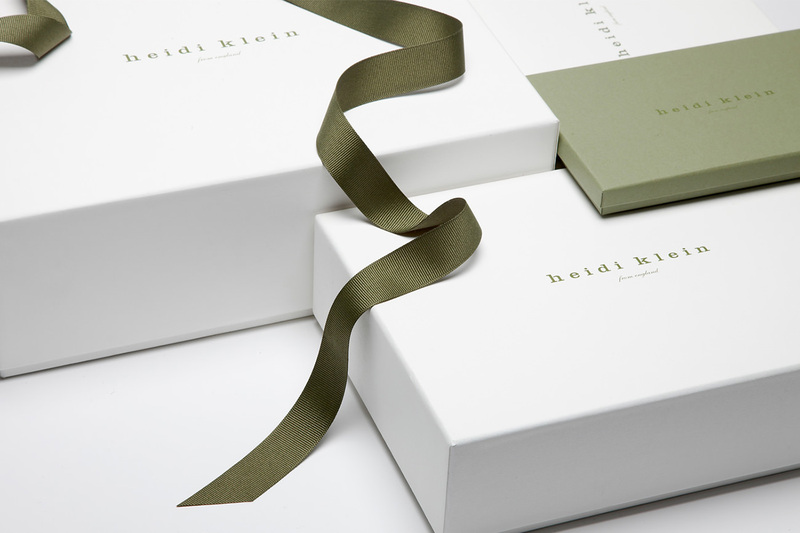 One of the packaging techniques that has most surprised us is one used by Heidi Klein, a luxury bathing suit line. The packaging is beautiful, with both style and elegance, and no one would say that these exquisite boxes had a bathing suit inside, right? They appear as though they hold precious jewels or high-quality leather. Not surprisingly, 97% percent of the 250 most renowned retail brands in the world are on Facebook. This must be for a reason, right? Well, of course, there is a reason! Currently, social media is like a playground where everyone spends part of their day chatting with friends, acquiring new information, and whiling away the hours. This means that any fashion industry needs to participate in these methods if they want to reach more of their potential audience in a better way. If you’d like to know more about Facebook strategy you can also take a look at our previous post: The best time to post on Facebook. Facebook is the most outstanding one and can be a substitute for electronic commerce until the small business decides to create its own online store. However, it’s not the only one. According to information acquired through a study done by Campalyst, an online marketing agency based in New York, behind Zuckerberg is Twitter, YouTube, Pinterest, and Google+. We can’t leave Instagram out of the picture either, as it’s one of the most essential tools used by both this powerful industry as well as industry influencers. These can provide any business with a solid backing and push them towards success. As it’s always recommended to observe who is doing well on social media, we leave you with the top five brands currently using social media according to Campalyst: Victoria’s Secret, Walmart, Apple, Adidas, Nike, and Dell. If you need more information about Social Media strategies, the 5 Social Media Strategies for Small Business in 2017 post is also for you. Check it out!